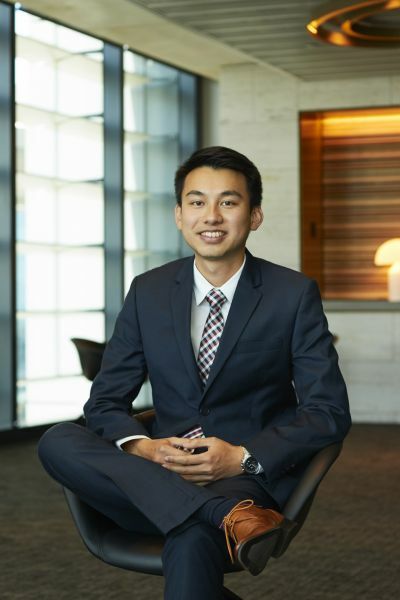 It’s easy to see why Philip has been named as one of 21 Westpac Future Leaders Scholars in 2017. A qualified lawyer, he has also been a UNICEF Young Ambassador, worked with the United Nations on the refugee crisis and was recently named one of Australia’s most influential people in the pro-bono sector. The scholarship will enable Philip to further his work in human rights, supporting him to take on his Master of Laws (LLM) at Melbourne Law School and providing access to leadership training outside of the classroom. “I think the Westpac Future Leaders Scholarship is life changing, and I’m very excited to embark on this children’s rights adventure,” Philip says. For Philip, studying his LLM at Melbourne Law School provides an opportunity to deepen his knowledge of human rights law and learn from global experts in the field. “The program makes it possible for international academics at the very cutting edge of their fields to come in and teach their particular intensive course. It’s really exciting to have a global perspective from these academics without having to leave the country,” he says. A first generation immigrant to Australia, Philip forged his passion for human rights during his formative years in Queensland. Over a decade later this passion has only grown. “When I was at high school, there were over 400 students in my year alone, and there were students from all backgrounds,” he says. “Because of that, I really understood these ideas of diversity and was exposed to inequality at a young age through my friends. There have been plenty of examples of where Philip has been able to put his passion into practice. Since 2014, he has been a youth advisor to the UN Children’s Rights in the Digital Age project. The project considers whether the Convention on the Rights of the Child (UNCRC) needs to be updated in the face of the influx of technology in the lives of young people today. “Currently the UNCRC has no reference to technology at all,” Philip says. “This has been an exciting project because it’s an opportunity for me to create change at an international policy and legal level,” Philip says. Philip hopes his Masters studies will stand him in good stead for a continued career in children’s rights, but stresses that true advocacy demands more than just law alone. “I’m particularly fascinated to bring together the three areas of law, politics and media to help create innovative change,” he says.